Courtesy of One Sotheby's International Realty. The Gem of Raintree Estates, built by the original builder, Standard Pacific and upgraded to the nines! Meticulous attention to detail throughout the whole home. Single floor family style living at its finest. xD; xA;Full open concept, the bar stand counter overlooks both dinning and family rooms with perfect flow right out to the pool area; complete with full working summer kitchen and covered patio area, a perfect oasis. Upgraded kitchen, double ovens, recessed lightening, sonous surround sound speakers. Spacious master with a luxurious master bath with his and her full sinks, tub, and shower. Finished garage with extra refrigerator and storage. This home has it all, just bring your tooth brush! 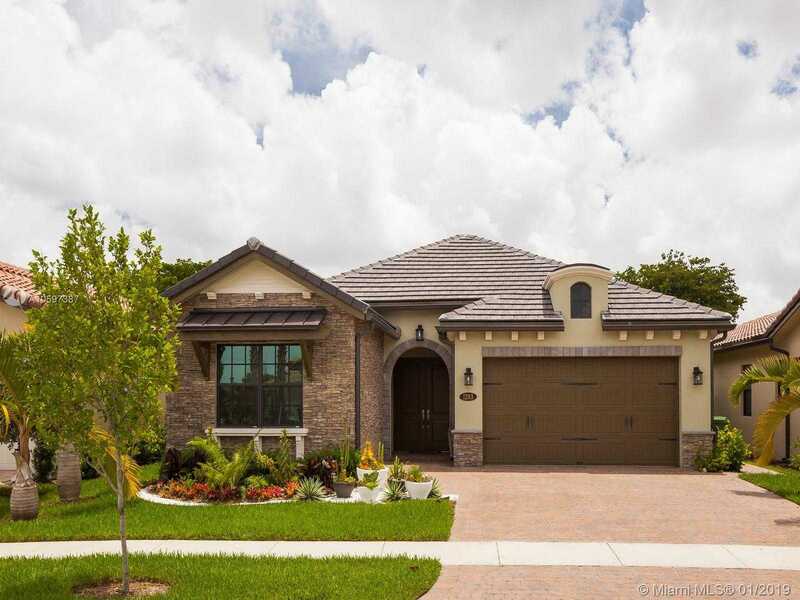 Please, send me more information on this property: MLS# A10597387 – $725,000 – 1283 Sw 113th Way, Pembroke Pines, FL 33025. © 2019 Marvasti TianVan Group — RE/MAX Realty Associates. FL DRE #0647414 All Rights Reserved. Real Estate Website Design by Home Junction, Inc.